Welcome to Denise Elam Dauw, a music educator in west St. Louis, Missouri, whom I got to meet at the St. Louis Writers Guild Author's Series lecture. She holds a M.M. in Music Education from the University of Missouri – St. Louis and a B.M. in Music Education from Millikin University in Decatur, Illinois. 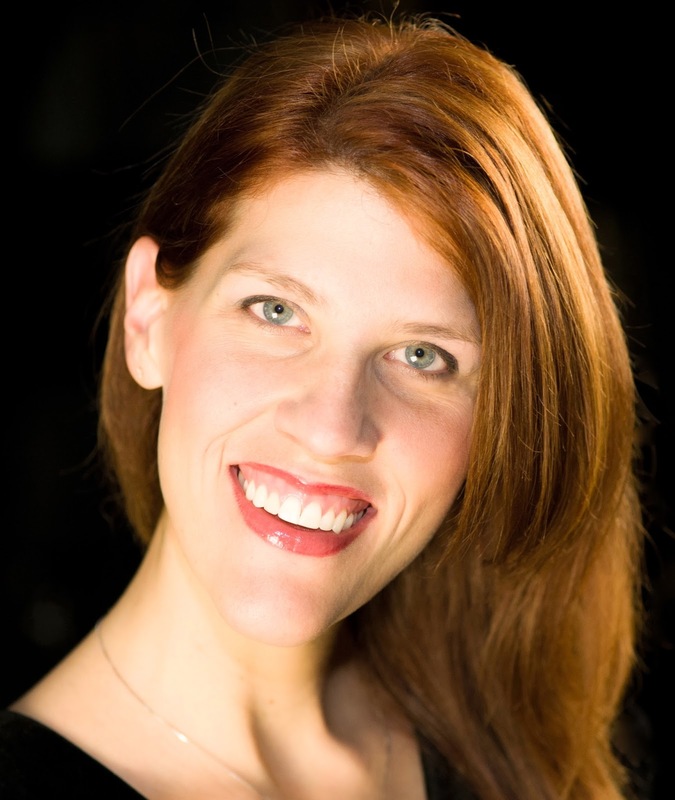 Specializing in instrumental music as a band director, Ms. Elam Dauw also has experience teaching choir, orchestra, piano, music history and appreciation, guitar, jazz band, marching band, and color guard. She is currently a member of the St. Louis Writer’s Guild, the National Association for Music Education (NAfME) and volunteers for the St. Louis Chapter of the Alzheimer’s Association. What brings your writing into focus? The characters. I've always felt perceptively attuned to other's thoughts, feelings, and emotions my whole life. Likely because I grew up being very shy and quiet, so observation of character and the empathy associated with emotions comes easily. I also would not have written this book had it not been for my grandmother, who was a primary inspiration in my life and for a large portion of this novel. How do you find time to write and do a demanding job? My simple answer? ... With a full-time teaching job as a band director and two kids at home, the answer is coffee! That, and I absolutely love my work teaching music; it is my raison d'être (my reason for being). What inspired your latest book? 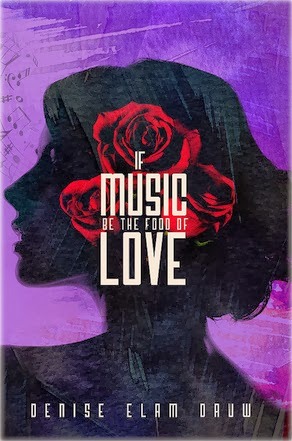 "If Music Be the Food of Love" is a historical fiction novel about how music has the power to bring about true love and bring people back to lucidity - if only for a few moments... this story is about the fight to save the one you love through the music. Initially, I was inspired by a visit to see my grandmother in the hospital, who was suffering from an infected bed sore and pneumonia at the time. She was also diagnosed with Late-Onset Alzheimer's Disease nine years prior and was completely unresponsive to touch or speaking. After several moments, I started singing a favorite song of ours: Judy Garland's "Dreamland." Within just the first verse she started to turn her head slowly toward the sound of my voice, gradually open her eyes, and then remarkably tried to mumble the words. I'll never forget that moment as it validated all I strive to do with my students on a daily basis - create meaningful connections through music. I would say Part 1 of the novel is slightly more fact than fiction as I outline my grandparent's beautiful love story. What do you think readers will like about your book? It moves quickly, travels through multiple historical periods, and musically has something to offer everyone. From the '40s with Frank Sinatra to the '60s with the Beatles, to classical piano repertoire that shapes so vividly in your mind that you swear you could play it yourself! What movie star would be perfect for (your main character) and why? I am currently working on a screenplay and know who I'd like for each of my female characters, but I have to be very particular about the male lead. Without giving away the plot, the male protagonist has to be able to sing, play guitar and play classical piano, which is a huge undertaking. When creating and visualizing the main character, Robert Pattinson was actually my muse - I know he could handle the role! What's the highest compliment someone could make about your writing? That reading my book touched their heart in some way, helped them deal with the emotions of losing a loved one to Alzheimer's, or most importantly, inspired discussions on the topic in their home or involvement in Alzheimer's research. This is a love story more than anything, but my mission is to raise funds and awareness, and create opportunities to learn more about the disease. What tune/music could be the theme song for your book? Actually, a pivotal selection is featured on my commercial book trailer and becomes a powerful force in the climax of my novel: Chopin's Nocture No. 8 in Db (preferably performed by Peter Schmalfus, the 'Chopin King'/ interpreter). IF MUSIC BE THE FOOD OF LOVE: Relive the passion and romance of Mae, Jean, and Ellie - three ailing women whose lives were forever altered through the powerful presence of music, opening gateways to true love. Amidst their current illness, the women are separately visited by a man of alleged paramount significance. Who is this man? Is he the key to helping these women or can music unlock the answers in time to save them all?